Two identical cabinet photographs of a young girl identified on reverse as, I think, Lilly Olga. Neither identification has a dot over the "i", so perhaps her name is Lelly or Luly or Leely or something else; see for yourself below. The photograph was taken by the Rogers studio of 787 Chapel Street, New Haven, Connecticut. Lilly Olga could be her first and middle names, or Olga could be her surname. I tried searching different variations online but didn't come up with anything promising. 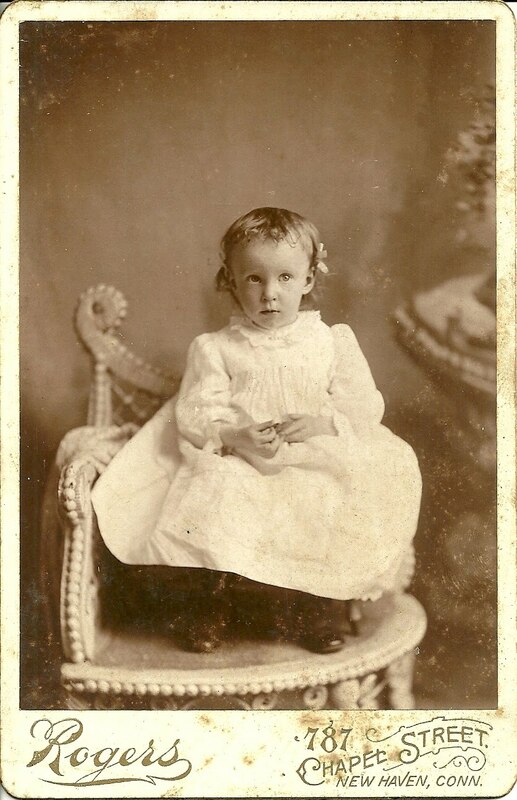 If Lilly Olga rings a bell from researching your own family or from researching for someone else, please contact me, so I can give these photographs more context.